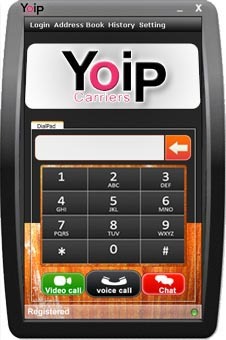 The Yoip Carriers offers fully integrated features to accelerate and enhance the usage of the SIP communicator for Windows. Apart from Audio Call , we have added more features, i.e. Video Call, Instant Messaging (IM), File Transfer. Yoip PC Communicator for Windows with one company Name/Logo.